Fix all your problems that we found in your website. This part your web programmer will do it OR for extra charge one of our geeks will do it. Key Words Research: until you know what words and phrases are most important for your website to rank for – you cannot properly optimize the pages in your site, nor your content strategy to help draw qualified traffic and leads to your site. Start creating Buzz on the web. We like to think of your website as the hull of a ship and the links you develop to that site as the wind in your sail. You need both to go full speed in any targeted direction. An NYC SEO audit ensures your site is receiving the full benefit of your link building strategy, and it also helps identify any potential issues your site may have in the search engines. During an SEO NYC audit, we take a comprehensive look at your website, searching for any possible issues—major or minor—that could be dampening your search engine rankings. 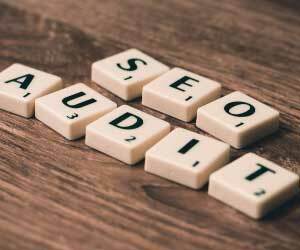 SEO audits review, but are not limited to: Website speed, URL structure, Meta description, H1-H5 tags, Image optimization, Page Index, Title Tags, Canonical link tag, Robots.txt, Text/HTML Ratio, URL length, Social interrogation, Blogging, Mobile, Web Site Sitemap, Virus Check, SEO Backlinks, 404 pages, 3xx redirects. SEO NYC Audit ensures that you build a solid foundation for future online marketing efforts, maximize your return on investment (ROI) and improve your natural search rankings. An SEO audit can be done after a redesign, in the preparation of a new Web site, before starting to do SEO & as a general Web site health check-up or as a very specific solution to a problem with the search engines. We don’t just promise results – we get them. We’ve experienced Internet Marketers that know what we’re doing. We know how to rank websites – if you want proof, just look at our website. This is only part of the things we do. We don’t utilize the Internet Marketing strategies and techniques of the early 2000′s. SEO is far more challenging and complex than it was even a year ago and web design has gone a long way from the slow, boring websites of a few years ago. Technology is advancing and we’re right with it. We will tailor the right online SEO for you. It’s super-easy to get started. First, tell us what website you’re looking to promote Tell us what 10 search queries you want your website to be found for Submit 3 URLs of your competitors Tell us the service area is the area in which you offer your products or services.